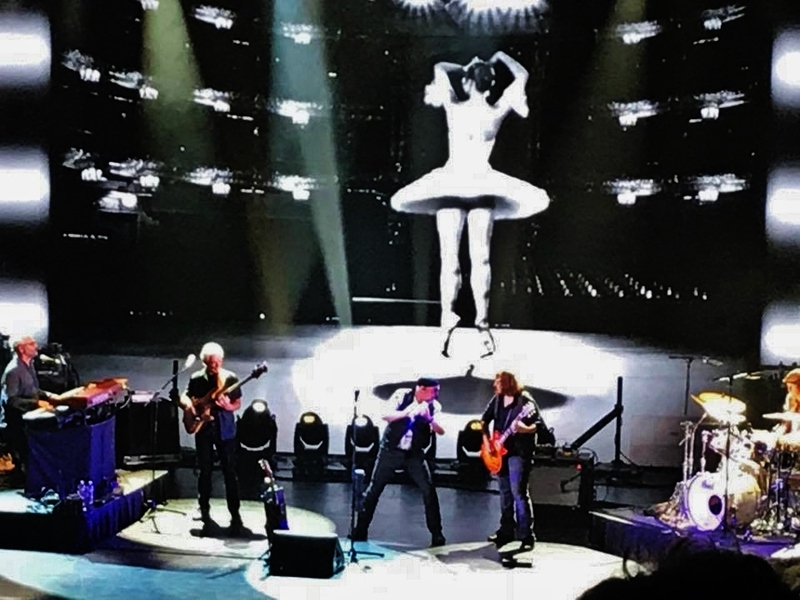 If you could choose just one song for Ian Anderson's Jethro Tull to perform when you see them- something you've NEVER heard done live - what tune would you pick? Baker Street Muse....all of it. What a shock when it remained untouched in 75-76 when it was new. Have they ever played a note of it live? That's a great question, I'd have to go with "Play in Time". A rousing song if they could handle the backwards flute part! Inside. Definitely. Maybe Dr. Bogenbroom. No, wait, how about Hot Mango Flush? Although an unconventional choice for most fans, INSIDE is one of my favourites, as well. I love the buoyant flute riff, which perfectly matches the simple and upbeat lyrics. 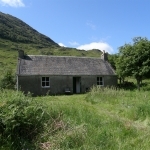 Pibroch (Cap In Hand), either with vocals (preferable) or as an instrumental just to hear what the "new boys" can do with it. 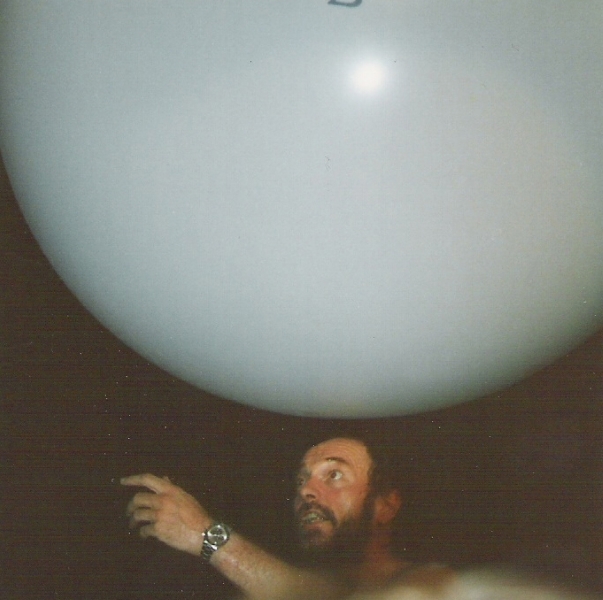 Didn't Anderson throw a big balloon into the crowd at the end of his shows in the late 1970's, around the time HEAVY HORSES was released (as pictured on the cover of BURSTING OUT)? Rover is a fictional entity from the 1967 British television program The Prisoner, and was an integral part of the way 'prisoners' were kept within the Village. It was depicted as a floating white ball that could coerce, and, if necessary, disable inhabitants of the Village, primarily Number Six. In one incident, it even killed a person, but it is not clear whether the ability to kill was a normal feature of Rover or if this incident was a malfunction. Several aspects of the Rover device were not explained, presumably left to the imagination of the viewer. I remember watching that however never made the connection. The only science fiction link that I know of is the video someone made of the song and Dr Who. I like it - I think it works. I remember listening to an interview with Ian where he said that "Inside" was a "throwaway" song. I believe he was being interviewed for a radio show and the DJ played "Inside" and then said, "A good friend of mine asked me to play that song because it is his favorite." Ian said, "Your friend must love obscure songs, because 'Inside' was a throwaway from the Benefit period" --- or something like this. Not an exact quote, just how I remember it from years ago. Interesting, nonetheless. I always think of my dogs whenever I hear Rover. We go on walks every day! But your post is very interesting and I didn't know this at all. 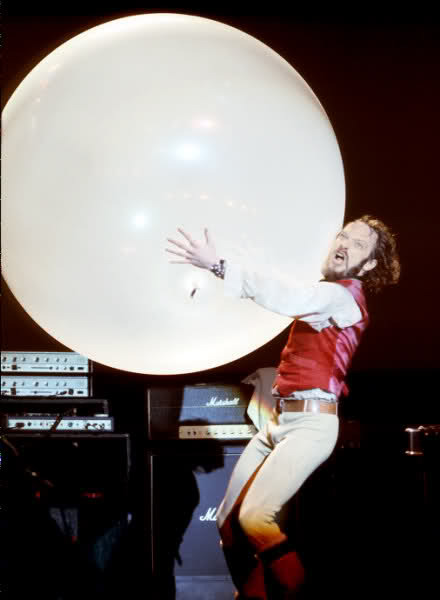 Interesting that the ball thing opened the Slipstream video documenting Aqualung fleeing and entering the A concert! Several classic-rock bands, like Tull and Rush, tentatively entered the future as the 1980s arrived, by using more keyboards and synthesizers in their music. Even Led Zeppelin, on IN THROUGH THE OUT DOOR. 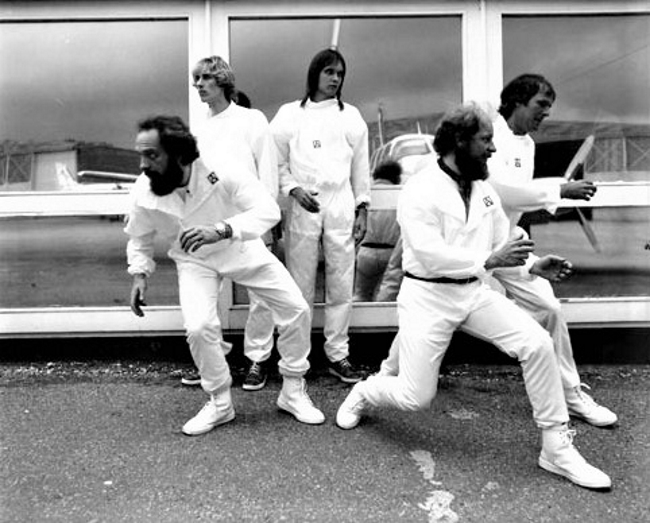 Genesis completely changed their style and gained huge commercial success, but lost me as a fan. I like the futuristic droog/astronaut outfit Anderson wears in the Slipstream video. I was walking to work this morning singing Rover (quietly) and I don't have a dog! Very good question, indeed. Anything from the Stormwatch or MITG album. Really no clue why IA completely ignores these outstanding albums, and especially this 50th anniversary tour would have been a great opportunity to show everyone how wonderful they are. Nevertheless i must admit...i got goose bumps and a small tear in my eye when they performed a short edit of Passion Play, which i thought i would never hear live. A big unexpected surprise as I refused taking a look at the set list in advance of the Vienna show some days ago. Real Men Cry During A Passion Play...even snippets. Tears of joy and pure progressive enlightenment !!! Best get your handkerchief ready Bernie.